A WORLD OF COFFEE... IN AN "INSTANT"
Expand the way you think about Instant soluble coffee with help from a company that knows the product! Trade Logistics & Consulting's leadership has over 40 years of experience in both green and Instant coffee. We have access to every product you may need for your current products and product development. We are a leading North American supplier of bulk instant coffee with distribution centers throughout the United States. Businesses in many fields rely on our quality Soluble coffee every day to continue their line and create new products. Flavoring Ice-Cream, the Baking industry ALL use bulk instant coffee to some degree. The Flavors & Fragrances industry is also involved as is the popular cappuccino industry. WE HAVE WHAT YOU NEED. And if we cannot provide it, we will guide you to affiliates who can. YOUR SUCCESS, IS OUR SUCCESS. Reach out today to find out more about our products and why they are widely preferred over our competitors. We have the volume, we have the quality, and we have the product reliability. There is no reason NOT to move forward on business with us. We will be your asset. We are eager to help you develop your products. Samples and full supporting documentation is available for serious concerns. CALL TO DISCUSS YOUR NEEDS FOR BULK INSTANT COFFEE. Prior to the creation of Trade Logistics & Consulting in 2001, decades were spent working in the canyons of Manhattan in various large commodity houses handling container vessels of Green coffee and other commodities to large buyers. Over 40 years of coffee experience... the last 32 years of which solely involved with bulk Soluble coffee, is available to benefit your business. Rising through the ranks, amassing knowledge and experience all along the way, we knew the direction we had to take to bring these values to the industry and set new standards for the supply of high quality and reliable instant coffee to clients in all sectors. No business is too small, or too big. We encourage your product development and realize this takes time and testing. We are here to help. 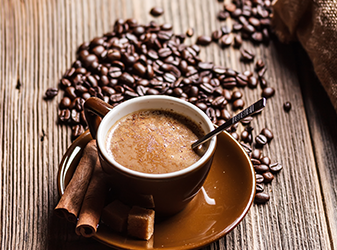 Instant coffee makes up a small portion of the coffee industry as a whole, which means few people have the experience, knowledge and understand of this specialty sector. 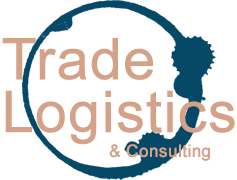 Trade Logistics & Consulting brings more than 40 years of this experience to the table — as well as plenty of Tender Loving Care. TLC is both our name and our passion, and more than just a mission... Coffee is in our blood — literally! — and will continue to be our life's work. Traditional East Coast business, always by email.